The practice of Lent is an opportunity to follow Jesus who was led into the wilderness by the Holy Spirit for 40 days of prayer and fasting. This Lent at City of Light, we are inviting the Spirit to lead us into a deeper prayer relationship with the Lord. Together, we help each other say ‘no’ to all of the things that we consume and that consume us (Mt 4) so that we can say ‘yes’ to the Lord. In that saying ‘no’ to other things, we begin to feel hungry. And weak. We begin to feel our need. It has been there all along—this hunger—but it gets masked by the quick fix foods of our self, sin, and society. We can hide our hunger, but only in Jesus the bread of heaven can it be satisfied. It is in the wilderness that we feel our need for Jesus and that we learn to receive his presence as a feast for our hungry souls. So many of us have no space for silence, speaking with and listening to the Lord and receiving love, strength, and guidance from him. We long for a fresh start. We need a spiritual, physical, and emotional detox. So let’s clear out space to meet with him, and if it’s harder than we thought it would be, that just means we’re recognizing how much more we need him than we thought. Lenten Household Worship Guide—Download or pick up a printed copy on Sunday. 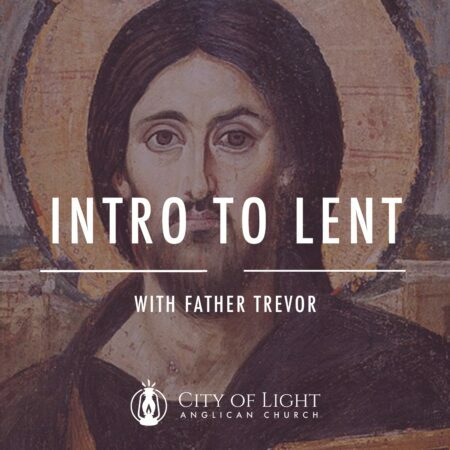 Intro to Lent Podcast with Father Trevor—New to Lent, want to know more about it, or want some help figuring out how to enter into it this year? Check out this podcast. Kyrie (Señor Ten Piedad)—Listen to the Kyrie in Spanish/English that we'll be singing throughout Lent written last year by Pastor Bonnie. The Good of Giving Up by Aaron Damiani—Aaron is the pastor of our sister church Immanuel Anglican in Chicago and this book is a simple, practical, and moving invitation to meet Jesus during Lent. The Great Lent by Alexander Schmemann—This is a dense but rewarding look at the meaning of the season of Lent. Liturgy of the Ordinary by Tish Harrison Warren—In the overlooked moments and routines of our day, we can become aware of God's presence in surprising ways. 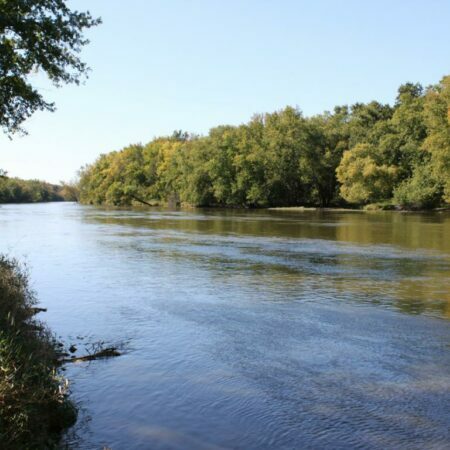 How do we embrace the sacred in the ordinary and the ordinary in the sacred? Framed around one ordinary day, this book explores daily life through the lens of liturgy, small practices, and habits that form us. Why Confession by Meghan Robins—An article from our sending church on why confessing our sins to one another is full of grace. Confession by Word and Table—A podcast from two pastors in our diocese exploring why we confess. Confession Liturgy—Here are the simple prayers we use to confess our sins and receive the forgiveness and grace of God. Why Prayer and Fasting by Bishop Stewart Ruch—A short article from our Bishop that includes the meaning of fasting and practical advice on beginning a fast. 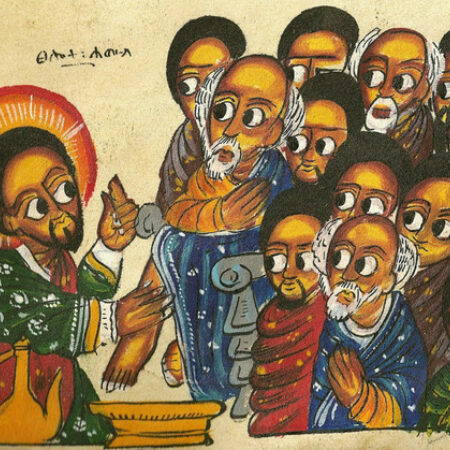 Fasting for Lent by Winfield Bevins on AnglicanPastor.com—More Biblical context and practical advice for fasting during Lent. They also have a bunch of other articles on Lent here. Introducing Lent to Children—This article by Robin Floch gives simple language to help children understand and enter into confession. Robin is a children's pastor at an Anglican church in Texas and has written the curriculum we're currently using in City Kids. RezKids Family Devotional—This resource was created by our sending church for families practicing Lent together. Lent Spotify Playlist—A playlist of worship songs from Worship Pastor Bonnie McMaken including music we'll be singing during Sunday morning services. Lent by Immanuel Anglican—A sister church's video introduction to Lent, explanation, and resources. Why Lent? Questions for an Anglican Priest by Greg Goebel—Answers to common questions about Lent and link to other Lenten resources from www.anglicanpastor.com.